GIVE THE GIFT OF GIVING THIS HOLIDAY SEASON by making a donation in honor of your loved one, special friend, colleague, neighbor, child’s teacher, etc., etc. 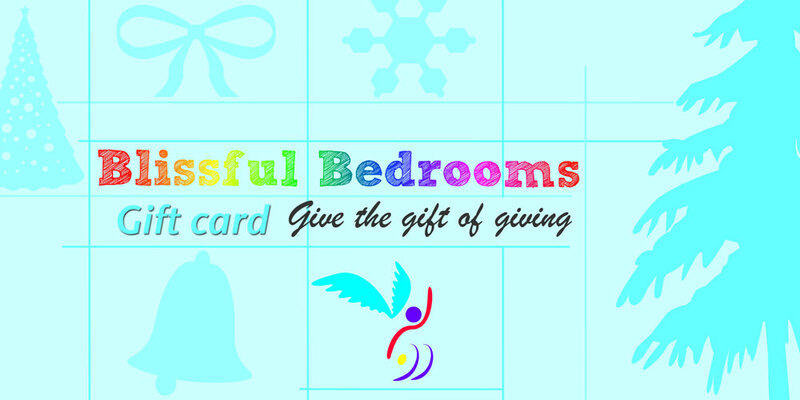 Your donation will go towards our very next Blissful Bedrooms makeover, which will take place in February 2012. 1) The recipient of your gift will be sent a beautiful Blissful Bedrooms gift card in the mail informing them of your generous donation in their honor. 2) After the makeover is completed, the gift recipient will be listed on our website, in the Special Thanks section, on the page of the young individual whose bedroom makeover the donation went towards. 3) The gift recipient will receive a personal email with a photo collage, thanking them once again for helping to manifest the Blissful Bedroom. They will also be directed to the individual’s page on our website so that they can view pictures of the new bedroom and young person enjoying it, and take pride in knowing they contributed to making someone feel very special and happy. To give a donation to Blissful Bedrooms as a gift, please click on the link below and make a donation in any amount through Paypal. Happy Holidays and thank you so much for your support of Blissful Bedrooms!